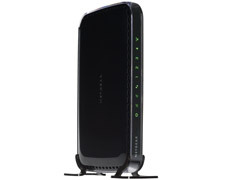 Just bought a Netgear WN2500RPT Dual Band wireless range extender from JB Hifi for $87. Bargain really! Even the sale price of $99 (down from $129) is good value. It also has 4 wired ports as well which is handy – although I do not really need them at the moment. Speed of the ports is not specified – my assumption is that they are 100MB/s. The only other product on the market (that’s not an apple airport express) which is a dual band extender appears to be a Belkin. However it is $149. This extender covers the last dark area around my house where wireless drop out more often than not. I set it up as a wireless client to a 2.4GHz and 5GHz WLAN provided by my Apple Time Capsule/Airport Extreme. I also have a Airport Express to extend my WLAN in the other direction. A quick tip – when extending your WLAN – make sure you keep the same SSID – this way your devices will always connect to the strongest signal with no further configuration required.